All the Jailbreak users must have an idea about what CallBar is and what it actually does? For those who didn’t know, CallBar X is a jailbreak tweak that allows users to answer or decline the calls in a new way without interrupting any apps you are using. Basically, you get a new kind of Phone app. For example, when a call is ringing, it does not block the whole screen. It pops up either from top or bottom without interrupting the task you are doing on your device. And if you want to call someone, just assign a gesture to invoke it, it’s simple as that. After a long time, Electra jailbreak support iOS 11 to 11.4 and the most anticipated tweak is now available in Cydia. It now has different style caller interface and is named as CallBar compatible with iPhone X and older iOS devices. CallBar X is a premium tweak available on Cydia’s BigBoss repo for $3.99. The great thing is CallBar X not only work with a default call but also works on all types of calls like FaceTime audio calls, Viber, WhatsApp, Skype etc. 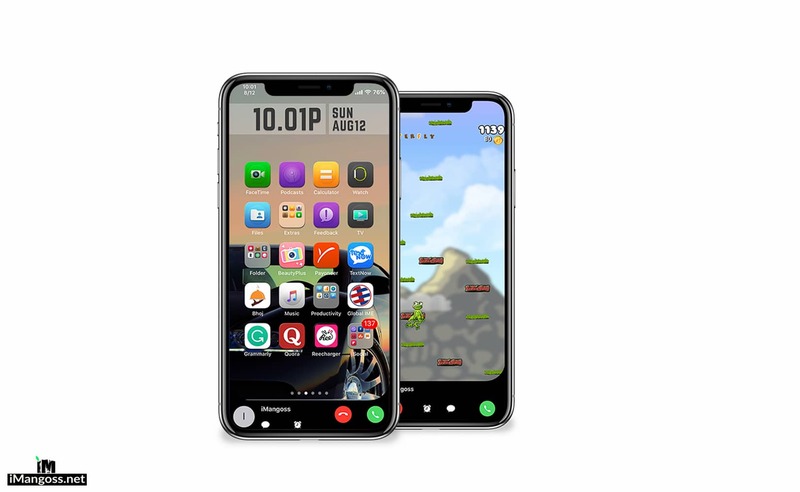 With the CallBar X iOS 11 installed on your jailbroken iPhone, you can easily use the app or play games while talking on a phone. Also, you do not require to close any app you are using to make a phone call or message. Simply left or right swipe or double tap on status bar while you are on any app and make calls, send messages and so on. The tweak now comes with completely new UI with a beautiful dialer interface. “CallBar re-designs the incoming call view to allow you to use your device while it’s ringing or while in a call. The answer, decline or dismiss a call with ease without stopping what you’re doing. You can pick up a call and stay where you are while in any application. Even place calls from anywhere by activating the dialer interface with an activation method of your choice.” There are several styles to customize the CallBar X appearance in Light, Dark, curved and Concept X, you can choose the interface you like. CallBar X is definitely worth to give a try on iPhone or iPad running iOS 11.3-11.4. After installing CallBar X tweak, you will now have complete access to the new interface however you can also configure and customize the look from the tweak preference located in the Settings app of your iPhone.